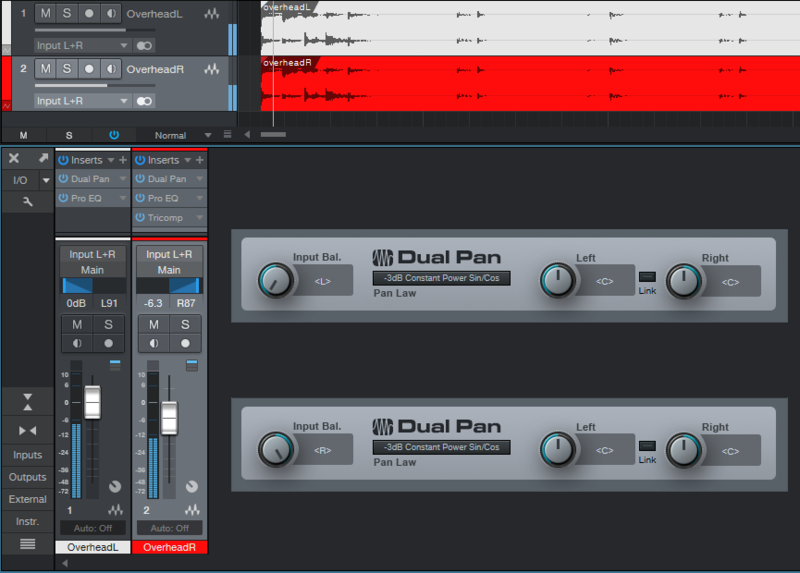 Hey, this seems really helpful, however I seem to be confused, I cant find the duel pan on my interface, I tried regular panning in the mixing section, all it did was kill the audio. Im using an old synth with only a mono out so only the right side of the headset is receiving sound, not the left. I don’t know what to do.. I think you’ll find this simpler than the right-click technique, and not having to generate another file is a good thing. As to how to make something mono sound more stereo…sounds like a good topic for a future Friday tip! Thanks for the tip Craig, I used to do the right-click technique. Do you have any suggestions to go the other way – to somehow turn a mono track into something sounding more stereo? How would I go about that in Studio One? Cheers, Caspar.